Back in October, we passed along pictures of what appeared to be a pair of labels for the Huawei P9. These apparently were produced to be affixed over the camera and the flash. Considering that they both have cut outs for two camera lens and a lozenge-shaped flash, it looks like the Huawei P9 will offer a dual-camera set up. 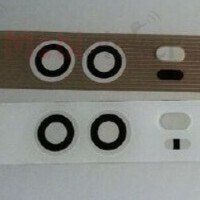 That was confirmed today with the leak of fresh specs for the device. The phone is rumored to feature a 5.2-inch AMOLED screen with the possibility of a 1440 x 2560 resolution. The Krin 950 chipset will be under the hood, offering an octa-core CPU and the Mali-T880 MP4 GPU. 4GB of RAM is said to be inside the handset, with that aforementioned dual-camera set up on back. Last week, we told you that a rumor out of China has the Huawei P9 getting launched in March, about a year after the release of the Huawei P8. We also could see a premium version of the phone hit the market at the same time. 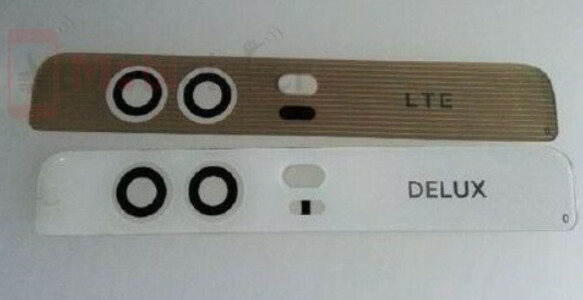 If you look to the right of the leaked labels, one says "LTE" while the other says "DELUX". We won't give Huawei any points for spelling, but there is speculation that the latter could be the Huawei P9 Max featuring a 6.2-inch display with a QHD (1440 x 2560) resolution. This device would also be powered by a Kirin 950 chipset, and contain 4GB of RAM. 64GB of native storage is expected inside, with Android 6.0 pre-installed. Next stop could be a TENAA certification for both phones. Specs seems over the top for the P series. Probably mixed up with the specs of upcoming 5.5 inch Huawei Honor 7 Plus. Over The Top? The P Is Their Flagship Tho And They Give It The Best Specs They Have Available Every Year. Two camera sensor = Twice the power consumption + if they get their amoled panel from Samsung which has a history of giving years old amoled panel to other manufacturer then you could kiss your battery goodbye. Huawei P9 will have $hittiest battery life. Samsung giving out the lastest of thier tech to thier rivals doesn't always do good to thier product line, - sure, Samsung will make the cash, but thier lead or thier chances to stay at #1 spot will be crippled too soon by competition. That's why Sony keeps it's newly made camera sensors for it's flagships for quite a long time, before letting other OEMs hop on it. Heck, Sony even wanted to keep it's IMX300 exclusive for themselves. Oh, well... Every OEM has it's own marketing strategies and priorities, though. It's not. Reviews have confirmed that they are not the best displays from Samsung. Obviously Google will say they got the latest, will Google/Huawei ever say they didn't get the best displays? Two camera sensors could equal much better pictures. There is a difference between Camera Sensor and Image Processing Algorithm. The former is a hardware, the latter is a software and where Sony struggles against the competition.